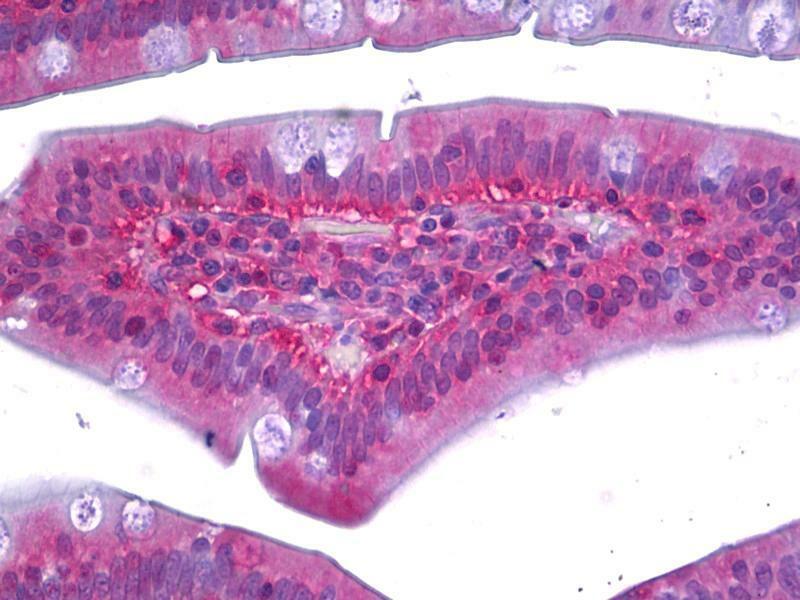 Anti-RAC1 antibody IHC staining of human small intestine. Immunohistochemistry of formalin-fixed, paraffin-embedded tissue after heat-induced antigen retrieval. Antibody ABIN962719 concentration 10 ug/ml. 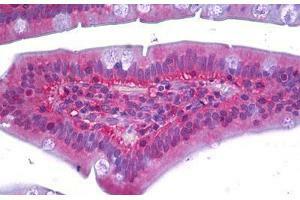 Anti-RAC1 antibody IHC of human small intestine. Immunohistochemistry of formalin-fixed, paraffin-embedded tissue after heat-induced antigen retrieval. Antibody concentration 10 ug/ml. Specificité Recognizes human Rac1 at 21kD. Slight Rac2 cross-reactivity is observed. An additional unknown protein of ~55kD may be detected in some preparations. Species cross-reactivity: mouse and rat. Immunogène Recombinant protein containing the full length human Rac1. 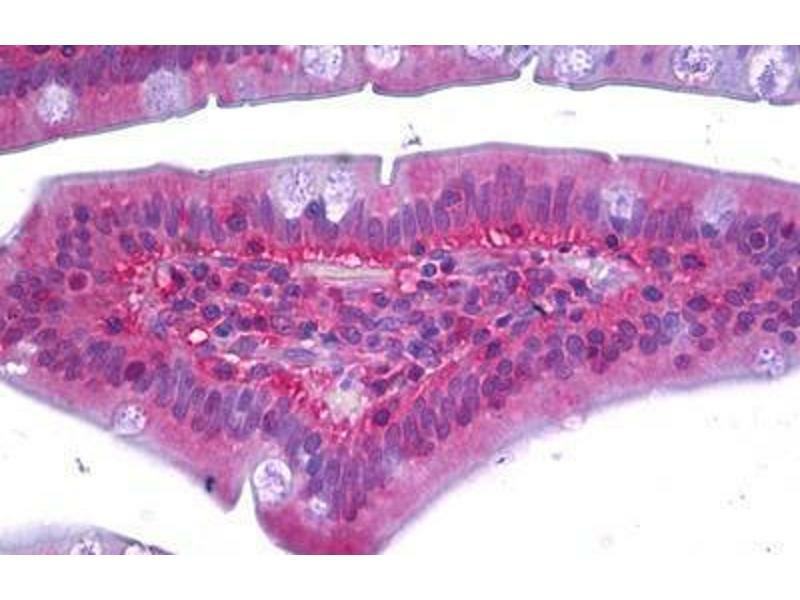 Usage: Suitable for use in Western Blot, Immunohistochemistry, Affinity Precipitation and Immunoprecipitation. Proteins were visualized using a goat anti-mouse secondary antibody conjugated to HRP and a chemiluminescence detection system. Proteins were detected by Western Blot analysis using 1 μg/mL. Immunoprecipitation: 4 μg immunoprecipitated Rac1 from a rat brain microsomal protein preparation. Buffer 0.1 M Tris-glycine,  pH 7.4, 0.15 M sodium chloride, 0.05 % sodium azide, 30 % glycerol.